The HTC One Max is an Android smartphone that many are hoping to get their hands on soon as its release starts to roll out. It has an impressive array of specs and a very decent battery capacity already. However, an official HTC One Max case will add even more power, so you’ll never need to worry about your device running out of juice at an inconvenient time. There will no doubt be many more HTC One Max accessories on the way, but many people purchasing a new smartphone like to have an official accessory to protect it and keep it looking good. If you’re considering a case for your HTC One Max then you might be interested in the HTC One Max Power Flip Case. The HTC One Max battery capacity is a nicely sizeable 3300 mAh, as it would need to be for a phablet-sized device featuring a large 5.9-inch display. The battery already supplied is claimed to last for around 25 to 28 hours of talk time, which sounds plenty for the average user. However, many of us now make increasing use of our smartphones and those who enjoy gaming and multimedia content on their devices may need more juice. The HTC One Max Power Flip case can act as a stand for those who want to view content or use the keyboard and also offers protection for the handset. As well as this the case features a 1200 mAh flexible battery. The case will easily attach to the phone via three pogo pins on the rear of the phone, and if you’re a heavy phone user and intending to purchase the HTC One Max, this accessory could be a real boon to you. There is no availability detailed for the Power Flip Case for the HTC One Max yet, but it’s likely to launch as the phone starts hitting shelves worldwide. The HTC One Max Power Flip cover price will be Â£79.99/$90. The HTC One Max is arriving in the UK first, and will also be available in the US at some point during the holiday season. However, those in Canada may have been disappointed to hear that there are no plans to release this smartphone there. If you’re thinking of buying the One Max you may be interested in checking out our recent comparison of the phone with the Sony Xperia Z Ultra and Samsung Galaxy Note 3. Will you purchase the HTC One Max on release? 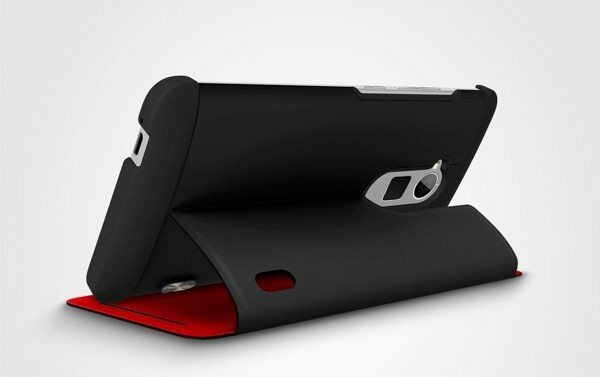 If so, are you intending to invest in the HTC One Max Power Flip case as well? Send your comments to let us know.